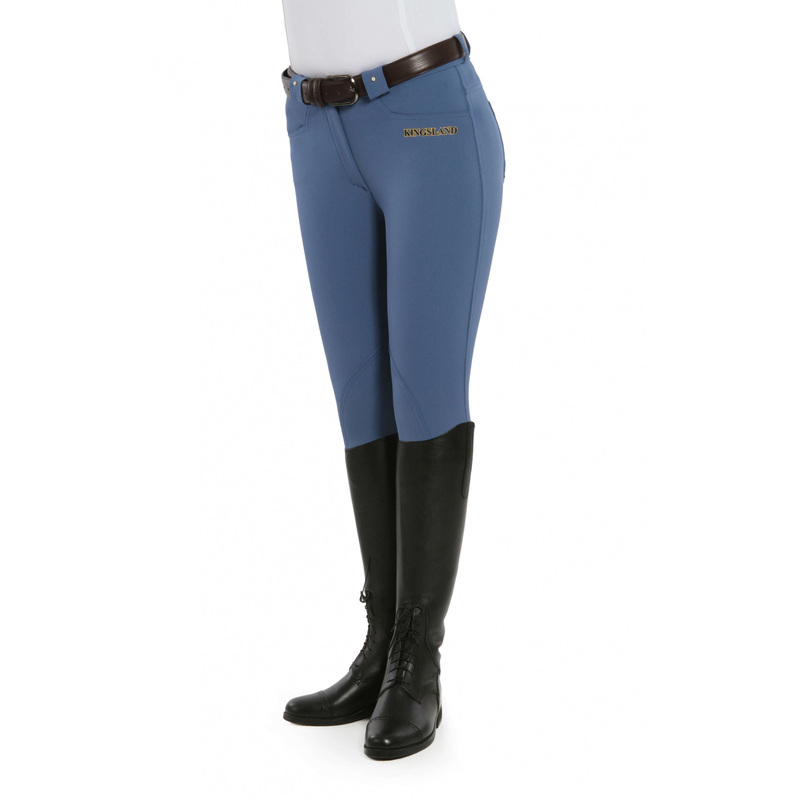 Kelly Slim Fit breeches with full seat, made of a functional and durable Schoeller material. 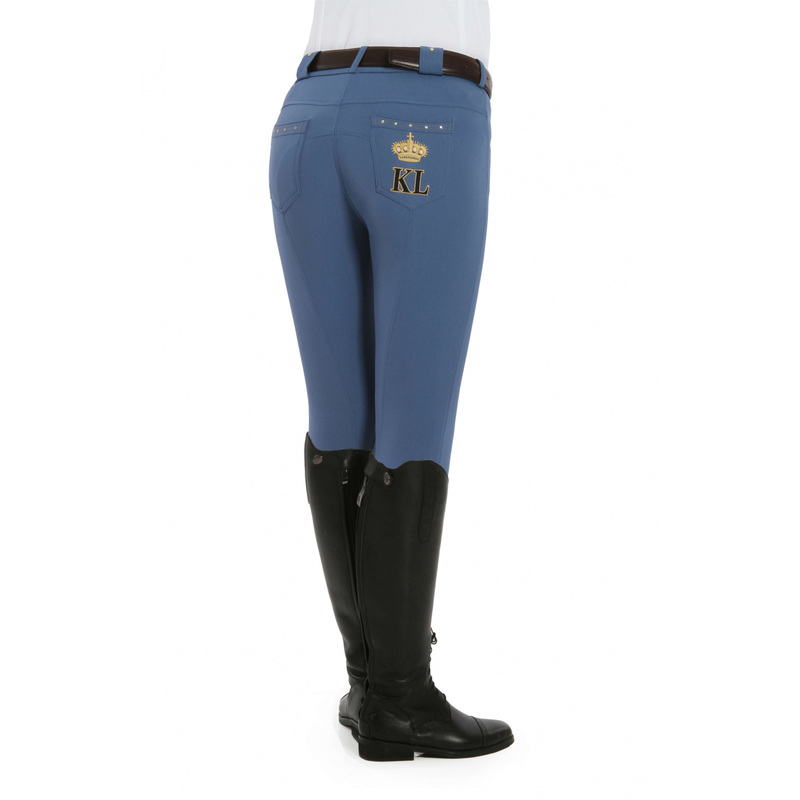 On the left pocket KINGSLAND embroidery decorated with Swarovski stones that imitate pearls. the trimming of both pocket also decorated with Swarovski stones.